Description Find the weak spots. Loot the treasures. 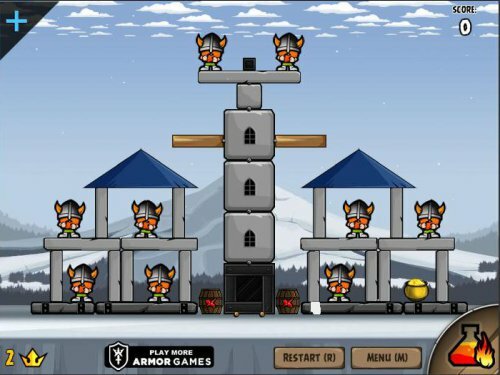 Save the innocent villagers from the angry vikings. Controls Aim and Click to Fire. Awesome! Great graphics, nice music and the #puzzles are really well!